“He who knows others is wise,” said Lao Tzu. “He who knows himself is enlightened.” Dr. Minh Nguyen has recently published an article titled “What Good Is Self-Knowledge?” in The Journal of Philosophical Research, DOI: 10.5840/jpr2015111656. 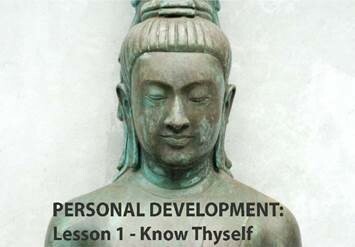 This paper provides a detailed account of the normal importance of self-knowledge. 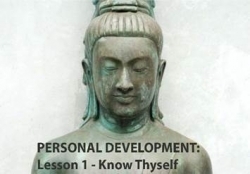 Self-knowledge is valuable for four reasons. First, it improves our chances of survival because it enables us to assess our intentional states and adjust our behavior. Second, it plays a critical role in effecting cooperation because the efficient pursuit of common goals requires that one communicate to others information about one’s beliefs and desires. Third, it provides protection against psychopathologies such as anxiety and narcissism because it enables the agent to assume responsibility for his thoughts and actions. Fourth, it enhances the agent’s self-confidence and happiness because the less he doubts that his successes are the result of his acting on his attitudes and abilities, the more self-confident and happier he is. The paper concludes with a discussion of the disadvantages of self-knowledge and the advantages of self-ignorance and self-error.